Up until now it was not really clear when Microsoft's upcoming operating system Windows 8 would hit the stores. We have seen lots of estimates in the past based on the tidbits that Microsoft revealed about the release process. Especially the announcement that it would be available three years after Windows 7 was helpful in this regard, as it allowed us to pinpoint the release period to the last quarter of 2012. According to Microsoft's Tami Reller, the company will release the Windows 8 RTM in the first week of August, and the retail version at the end of October. This has just been announced at the Worldwide Partner conference in Toronto which is currently available as a Lifestream on the Digital Worldwide Partner Community website (please note that Microsoft Silverlight is required to watch the live footage). A release in October 2012 basically means that Windows 8 will exactly be released three years after the release of Windows 7, which as we all knew has been made available in October 2009 for the very first time. Existing Windows users from that moment on have until January 31, 2013 to take advantage of the upgrade promotion to upgrade their current version of the operating system to Windows 8 Pro. This offer is valid for all versions of Windows XP, Windows Vista and Windows 7. 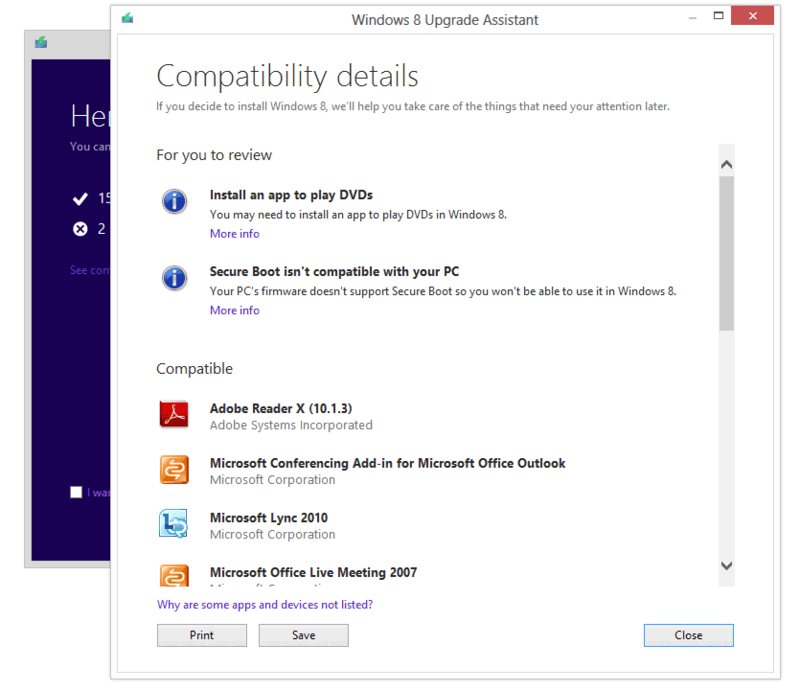 Differences exist in the data that users can migrate when they upgrade to Windows 8. All users can migrate their personal files, while Vista and Windows 7 users can migrate operating system settings, and Windows 7 users installed applications. A release in October, or the availability of devices running Windows 8 in October, ensures that the operating system will be available for the important holiday season. It also gives us a great opportunity to compare the popularity of the operating system with its predecessor Windows 7. What are you going to do when Windows 8 comes out? Will you take advantage of the upgrade promotion? I am tempted to take advantage of the upgrade promotion before January, despite having strong reservations regarding the Metro interface. It’s not a huge deal to install a third party app that will let me use a Win7 style UI, and certain features would be useful to me, such as the improved task manager and improved file transfer performance. There’s no way I would pay full price for these relatively minor improvements when I’d have to take measures to deal with Microsoft’s fetish for touch-screens, but for the price of a video game, it’s not so bad. Anybody else see something worth paying 40 bucks for in Windows 8? Microsoft will block any third party app that changes the Metro. I understand you don’t like the direction Windows 8 is going (and I definitely don’t like Metro), but you made that up. I’ll exploit the upgrade offer. It’s good value. Users remain significantly less enthused about Windows 8 than they were three years ago about the then-unfinished Windows 7, according to data from an analytics firm. The new numbers from California-based Net Applications hint at a lukewarm reception for Windows 8. Just 0.18% of all the computers that went online during June ran one of the previews of Windows 8, statistics Net Applications showed last week. Of those PCs running Windows, 0.2% — or 20 out of 10,000 — were powered by Windows 8…. …In June 2009, four months before its launch, Windows 7 accounted for 0.75% of all computers and 0.80% of all Windows machines. In other words, Windows 7’s share was four times that of Windows 8…. I think MS really jumped the shark on this one. After all this build-up, I’m still not clear on why metro is supposed to be an advantage for the desktop user. To the contrary, it remains a clear major step backward to me. The improvements under the hood of Win8 are nice, but the trade-off of having to fight to get to them is not worth it. I may upgrade an XP machine or two at the $40 price, particularly a netbook I have, but then, I’m seriously thinking of finally making the move to Linux. Either Win8 is such a dog that MS has to give it away to gain a market foothold for it, or they have something up their sleeve that is going to cost the user in the end. Their recent massive change in server price structure to the upside is evidence that they are not doing charity work. Ironically, even Linux is going wobbly in terms of a usable GUI, as I’m finding with Ubuntu 12’s Unity scheme. But there it’s quite easy to override the “improvements”. Still, I don’t get what it is that the OS designers find so intoxicating about dumbing down the UI. Design progress, yes, but don’t sacrifice functionality. I suspect I’ll be doing the same as when Vista was released, Martin. Sitting on my wallet, unless the release version includes a way of switching off the Metro nonsense. I shall wait at least 6-12mths after the launch and then see if product is worth the change. I can’t afford to lose clients data or slow my workflow because of OS limitations / teething problems. On the personal side, I’ve also heard rumour that its audio capabilities are not so hot, which is a bit of a worry. Wow!, you should really leave drugs man! !